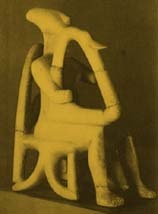 Here is a Cycladic Marble statue of a harpist from the island of Keros. 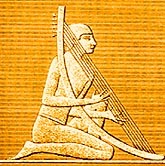 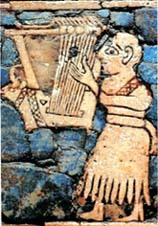 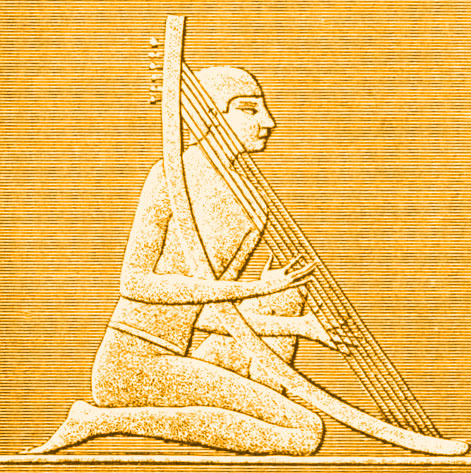 Phoenician idols found together with this harp points to the possibility that this harp originated in Phoenicia, which is expressly mentioned in Greek literature as one of the countries that in ancient times used triangular stringed instruments. 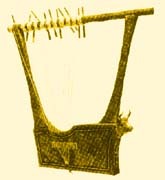 It dates to 3000 BC and is now in the National Museum in Athens. <<< On the left is a modern reproduction of the silver lyra from Ur, now also in the British Museum.